SELWYN SCHOOL WELCOMES INTERNATIONAL STUDENTS! Selwyn has a long history of educating children from across the globe through our International Student Program. Students from places as distant as China have found Selwyn a place where they are welcomed, nurtured and educated to become the accomplished leaders they strive to be, whatever their path. At Selwyn, we consider international students to be an integral part of our student body. The faculty and staff are proud to offer a diverse and welcoming community that brings together students of many nationalities, ethnicities and religions in the pursuit of knowledge. What benefits do international students gain by attending Selwyn? First and foremost, we prepare students for a college education and for responsible citizenship in a global society through our strong college prep curriculum and emphasis on the individual student. 100% of our graduates are accepted to college. We offer a broad curriculum with many Advanced Placement (AP) classes so that students are well prepared to do college level work. The option to take dual credit classes at University of North Texas and Texas Women’s University for qualified Upper School students is a great way for students to become familiar with an American university. All of the sports and activities Selwyn offers are available to interested students, whether they want to perfect their basketball game or try performing in drama for the first time. At Selwyn, students have the opportunity to make valuable connections to faculty and peers, resulting in friendships that will last a lifetime. These relationships, in addition to Selwyn’s small, close-knit community, become especially important as students settle into an often unfamiliar place. What type of visa does my child need? In order to attend Selwyn as an international student, your child will need to obtain an F1 visa. If the student is currently studying in the United States under a parent’s visa, documentation will need to be provided to Selwyn prior to his or her acceptance. Does my child need to speak English? Yes. 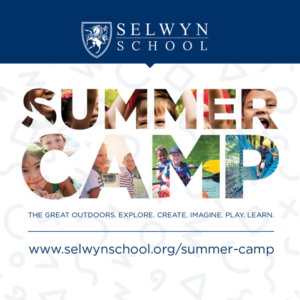 Selwyn requires that all international students applying for grades 9 and higher be proficient in English at or above grade level. We will verify this through his or her English grades and an in-person or video conference interview. Does Selwyn offer boarding or host placement? No. Selwyn is a day school with no option to stay on campus. Further, we do not offer placements with host families. Students will need to arrange to stay with an adult (college age and above) who is a relative or friend of the family or an American guardian secured by the family. This person must function as the student’s guardian while he or she attends Selwyn. What is it like to be a new international student? Learning to adjust to a new culture can be challenging at first, but the Selwyn school community is very welcoming, and the orientation process is very helpful. The Director of Admissions will connect you with a current student before you arrive, and you may exchange emails before your first day. When you arrive on campus the first day, you will already have a friend. Which adults on campus can be most helpful to international students? Each student is assigned an advisor, and your advisor is always available to assist you and help keep your parents informed about your academic program. You will meet regularly with your advisor each week, but if you need your advisor’s help more often, just ask. Advisors are available to answer your questions. How do I obtain a visa for my child? The U.S. government mandates that schools use a system of tracking international students called SEVIS. Once your student is accepted, we will apply to SEVIS for an I-20 with a special barcode attached. Once we issue it, that I-20 should be taken to your consulate or embassy so that your visa can be issued. An I-20 WILL NOT be released until you have been accepted to Selwyn and have paid the $1,000 US enrollment deposit. Students that would turn 20 years of age before graduating from Selwyn cannot be considered for admission and should not apply. Selwyn encourages every candidate for admission to visit our beautiful campus and participate in an interview, class visit and tour of the campus. If you cannot visit in person, we will schedule a Skype or telephone interview once all other application requirements have been met. What are additional entrance requirements? Stateside Guardian: All international students are required to have a guardian living in the United States who can be contacted in case of an emergency. Health Insurance: All international students are required to have some form of international health insurance. I-20: Selwyn issues I-20s after an accepted student has registered and paid the registration fee. When do I receive the I-20? In order for a student to receive an I-20 Form and apply for an F-1 Visa, a student must first go through the application process, be accepted and enroll at Selwyn School. What do I do once I receive the I-20? Both the parents and the student must sign the I-20 form in the appropriate spaces. After an international student is issued an I-20 from Selwyn, the student is required to pay a $200.00 SEVIS I-901 fee. The fee will need to be paid by the student (not by Selwyn). The SEVIS fee can be paid online with a credit card. For payment, log onto fmjfee.com. After the fee is paid, a receipt will be generated. Your receipt is used as evidence of the fee payment when making the visa application at a US consulate, when entering the US, or making an application to the US Citizenship and Immigration Services (USCIS). The fee must be paid before a student visa can be issued by the US Consulate Office. All non-immigrant visitors are required to have a valid visa in their passports for entry into the US You will need to make an appointment for a visa interview at a US consulate or embassy abroad to obtain your visa. Visas cannot be obtained within the US. For general information about visas, see the Department of State website. Visa appointments are limited and take time. Consulates will generally accept appointments up to 120 days prior to the start of your studies. There may be long waiting periods for appointments, especially from May to August. However, consulates will give priority to F-1 and J-1 student applicants if requested. Note: Canadian citizens are not required to apply for a visa to enter to the US as an F-1 but are still required to pay the SEVIS fee.